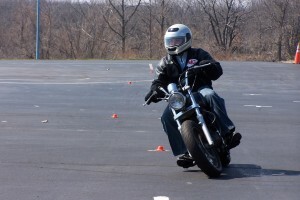 The Basic RiderCourse is intended for those with little or no experience, or for any rider who has missed the opportunity to take formal motorcycle rider education. This hands-on, learner-centered, step-by-step course teaches everything from the ground up. MSF-certified instructors teach in our classroom and coach on our dedicated range. 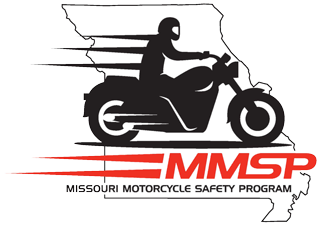 Four hours of classroom instruction includes risk awareness, protective gear, motorcycle controls, riding skills, and street strategies. Outdoor range exercises are conducted on our training motorcycles (all 250cc or smaller) in a controlled environment, where students get hands-on experience and personal, professional coaching. Please note the riding portion is physically demanding, if you have questions or concerns, please contact the Site where you are registered for training, before the beginning of class. Students learn safety skills for a lifetime of riding on MMSP’s driving range. Total instructional time is 16 hours, including a skill evaluation at the end of the course. Students meeting evaluation standards receive a completion card, waiving the on-cycle skill test required by the state for a motorcycle endorsement, which must be obtained from the DMV.